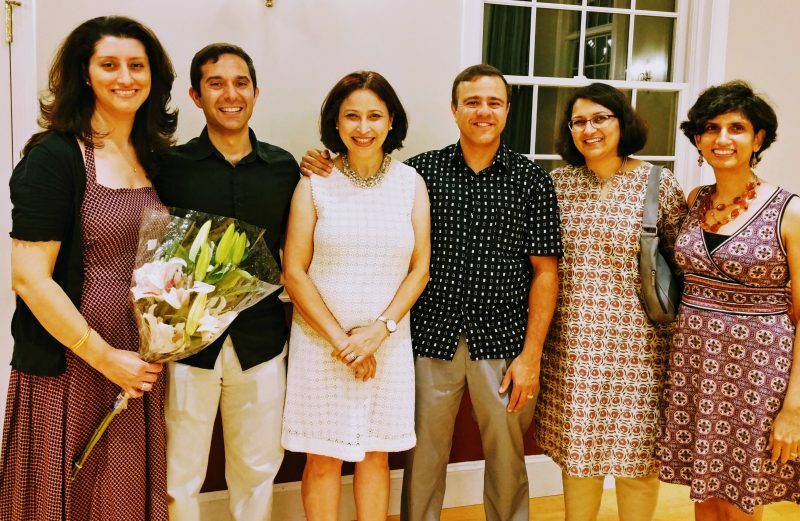 On August 25, 2018 at the Zoroastrian Association of the Greater Boston Area (ZAGBA) Shahenshai Navroze function, Cyrus Hirjibehedin was recognized for receiving the 2018 Medal for Scanning Probe Microscopy. This award was given to Cyrus by the Royal Microscopical Society in the United Kingdom for outstanding progress he has made studying materials one atom at a time. “Atoms and molecules are the basic building blocks of all materials in nature,” said Cyrus. “By using specialized microscopes, we can now ‘see’ individual atoms and molecules on the surface of materials and even build tiny structures on these surfaces atom by atom or molecule by molecule”. Over the course of his career, Cyrus has helped to pioneer a new set of microscopy techniques that reveal how the environment immediately surrounding a single atom or molecule can be used to control the atom’s electrical and magnetic properties. His research has suggested new ways of interactions between a surface and the atoms and molecules that sit on top of it may be harnessed to create the smallest possible electrical and magnetic devices. In some of his more recent work, he showed that a single molecule can be used to sense magnetic fields, and that a layer of table salt only one atom thick can function as an electrical switch. Cyrus’s work on atomic-scale microscopy began at the IBM Almaden Research Center and continued at University College London, where he was most recently a Professor of Physics, Chemistry, and Nanotechnology. In the last year, Cyrus has joined MIT’s Lincoln Laboratory as a member of Technical Staff in their Quantum Information and Integrated Nanosystems group. He currently lives in the Boston area with his wife Roshni Kapadia Hirjibehedin, and they are active members of the local ZAGBA community. Roshni and Cyrus are also members of the Zoroastrian Association of Greater New York (ZAGNY), where Cyrus is originally from. Article was first published in the FEZANA Journal Fall 2018.